Gener8 Energy is a company based in Australia that specialises in the use of recycling energy to help curb the power issues we are experiencing throughout the world. We had created their identity and we wanted it to be simple and eye catching to the viewer and their respected clients. 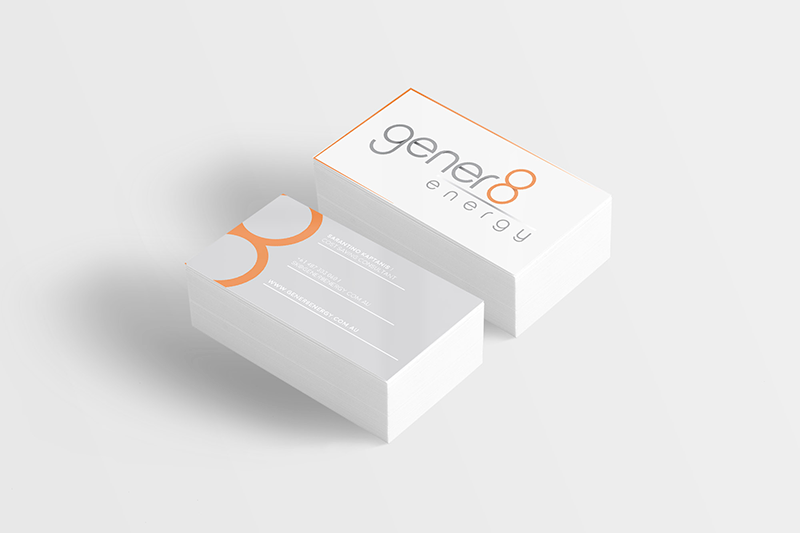 The logo was designed using just the name and little accents of shading and gradients within the word ‘Gener’ and within the 8 and in the line separating ‘Gener8’ and ‘energy’. The lettering of the logo is all in lower case and is encased by an unfinished box. The logo shows off and boasts the simplicity we all love here at Softserve. The idea behind this logo design is to take it to its basic form whilst still keeping it simple and to look beautiful. A simple design for an extraordinary company. 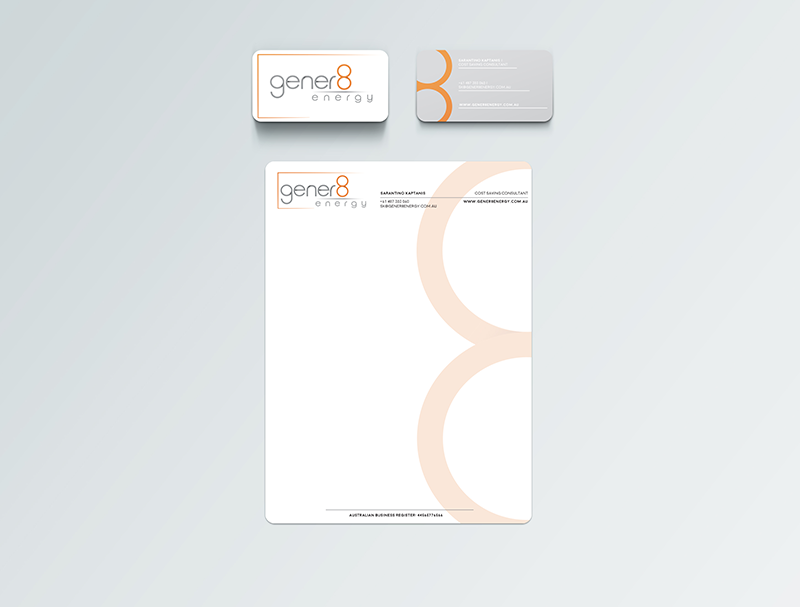 The stationery of Gener8 Energy shows off variations of the 8 in the logo and it shows it larger and makes it the focal of the stationery itself. Also the number 8 is rather significant in everyday life, if you’re into this kind of thing. In Chinese culture the number 8 is a lucky number and when pronounced in Chinese it sounds like the word prosperity and also has a number of symbolic meanings such as being a symbol for harmony and balance. That is a few reasons we wanted to make the number 8 a focal of the design. And also it looks really good. Adobe Photoshop is a design / graphics editor developed and published by Adobe Systems for Windows and OS X.
Adobe Illustrator is used by graphic designers to create vector images. These images are scaleable, ie their size can be changed without losing quality.